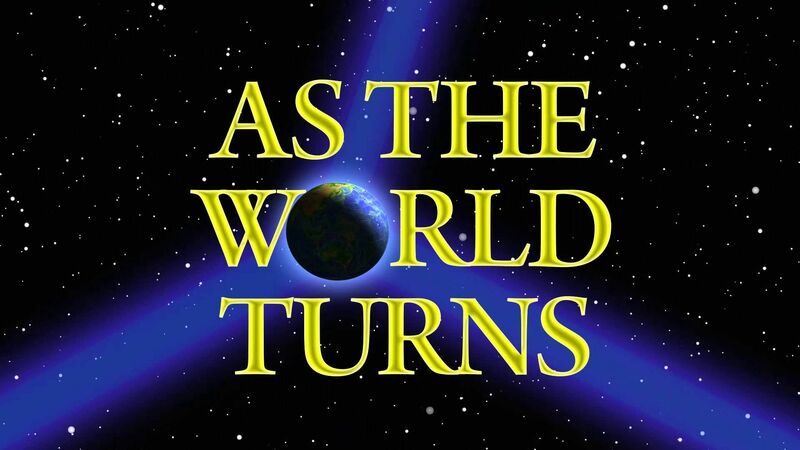 Here's where to watch every episode of As the World Turns season 54. Mouseover or tap an episode to see where to stream it. Click or tap the play icon to stream it on the best available service. Aug 3, 2010 Lucinda meets with Blackthorn and instructs him to complete phase two of their plan; Lily goes to drastic measures to get Holden to his wedding. Aug 4, 2010 Henry dresses in disguise to locate Barbara; Iris celebrates her birthday at Al's. Aug 5, 2010 Casey and Alison bond while babysitting Jacob; Chris and Katie's passion comes to a halt as Chris becomes sick. Aug 6, 2010 Reid confronts Chris about his disease; Henry calls in a psychic to help find Barbara. Aug 9, 2010 Iris fears that she's been caught; Henry and Will visit the warehouse with a psychic. Aug 10, 2010 Emily finds Barbara in the wine cellar; Reid does not like that Luke talks about Noah. Aug 11, 2010 Craig accuses Blackthorn of attacking Johnny; Lily tells Carly the truth about the perfume factory. Aug 12, 2010 Carly and Jack decide to set up Blackthorn; Lucy and Gabriel meet for the first time and bond over memories of Lidia. #13835 Aug 13, 2010 Janet takes Blackthorn up on his offer to meet; Craig receives a bomb threat. #13836 Aug 16, 2010 Blackthorn kisses Janet; Lily asks Craig if she can invest in WorldWide. #13837 Aug 17, 2010 Noah discusses his future in L.A. with Luke; a fire starts in the Fairwinds Wine Cellar. #13838 Aug 18, 2010 Henry, Will and Paul follow the scent of smoke to the wine cellar; Reid confesses to Luke that he has been caring for Chris. #13839 Aug 19, 2010 Chris and Katie make love; Henry asks Barbara an important question. #13840 Aug 20, 2010 Lily wants Lucinda out of her life; Janet goes to Avalon Castle with Blackthorn. #13841 Aug 23, 2010 Craig's shocked to learn about Blackthorn's associates; Lucinda receives a mysterious phone call. #13842 Aug 24, 2010 Craig flaunts his relationship with Lily in front of Lucinda; Janet closes in on Dusty's whereabouts. #13843 Aug 25, 2010 Jack comes to Dusty's defense; Holden tries to explain his relationship with Lily to Faith. #13844 Aug 26, 2010 Chris confronts Reid for telling Luke about his condition; Henry reacts to his lack of support after revealing his proposal to Barbara. #13845 Aug 27, 2010 Katie wonders what is wrong with Chris; Bob and Kim see an old frenemy check into the Lakeview. #13846 Aug 30, 2010 Alison finds something in Casey's room that leads to a discussion of their future; Reid's mysterious patient is finally revealed. #13847 Aug 31, 2010 A private burial is held for Nancy; the Hughes family, and those close to Nancy, decide to honor her memory. #13848 Sep 1, 2010 Against doctor's orders, Chris pushes his body to the limit; Noah finds it hard to digest that he and Luke will just remain friends. #13849 Sep 2, 2010 Bob and Kim are stunned at Chris' downward spiral; with news that Chris needs a new heart, Tom and Margo are on the case. #13850 Sep 3, 2010 Henry gives Katie some words of wisdom after a visit to Brad's grave site; Reid's heroism yields devastating results. #13851 Sep 7, 2010 Tom and Margo are the bearers of bad news; out of tragedy comes salvation. #13852 Sep 8, 2010 Lily and Holden travel to Brooklyn to visit a relative of Reid; Luke seeks comfort in Noah. #13853 Sep 9, 2010 Chris learns the hard truth about his heart; John is fed up with Lucinda's scheming ways. #13854 Sep 13, 2010 Jack and Carly are interrupted when discussing their future; Janet is taken to the hospital with contractions. #13855 Sep 14, 2010 Rosanna is back in town to make amends with Carly; Holden and Molly make up, with a little prodding from Lily. #13856 Sep 15, 2010 Carly and Jack get married; everyone helps Janet to the hospital. #13857 Sep 16, 2010 Some sad news turns into great news for Jack; Luke tells Noah not to give up on his dreams. #13858 Sep 17, 2010 The residents of Oakdale are faced with major decisions as the long-running soap opera, which debuted April 2, 1956, bids adieu. Created by Irma Phillips, the Emmy-winning series helped launch the careers of such stars as Meg Ryan, Julianne Moore and Marisa Tomei, and made history by introducing the first gay character to daytime TV in 1988.